Images and additional information courtesy of Janet. 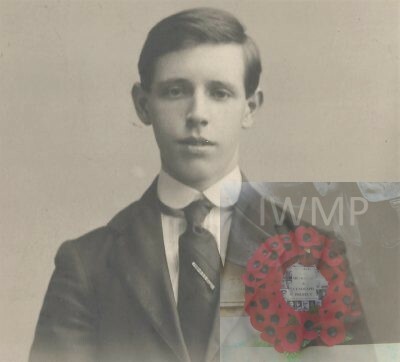 Died: 7th May 1917; age 19; Died of Meningitis at Salisbury Isolation Hospital, Wiltshire. Rank: Gunner; Service Number: 181466. Regiment: Royal Field Artillery, 22nd Reserves Battery. 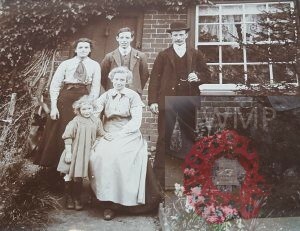 Relatives Notified & Address: Son of William & Margaret Day, of Ivy Cottage, Swan Lane, Westerfield, Suffolk. 1901 Swan Lane, Westerfield, Suffolk. Harold was 2 years old and living with his parents, aunt & cousins. William Day, 27, a Stockman on Farm, born Grundisburgh, Suffolk. Margaret Day (nee Wooby), 25, born Westerfield, Suffolk. Alice Day, 32, widow, born Ipswich. Laura Day, 8, born Grundisburgh. 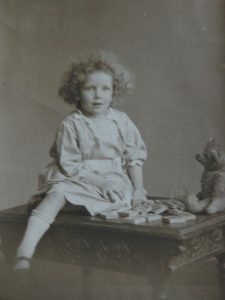 Alice Day, 3, born Grundisburgh. Phyllis Day, 6 months, born Grundisburgh. Harold was 12 years old and living with his parents & sister. William, 37, a Cowman on Farm. Irene Harriet W. Day, 8 months, born Westerfield. 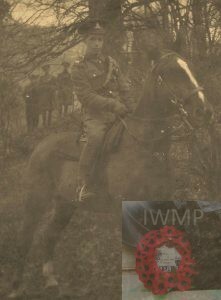 Soldiers’ Effects to William Day – father. Postmark Bury St. Edmunds 30th ……? 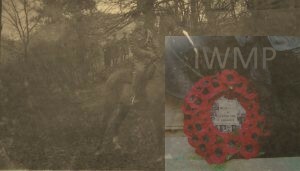 Tragically, Harold never returned to Suffolk and died in Salisbury hospital on 7th May 1917. Harold never saw his baby daughter, Vera Mary Day Gillingham who was born on 28th March 1917. Vera attended Northgate School for Girls and qualified as a teacher and taught at Mountnessing during the Second World War and at St. John’s C of E school, Ipswich from 1956 to 1977. The Ipswich project has produced an amazing testament to the lives of those lost during WW1. Photo believed to be taken while training.